Game of Thrones changes its opening credits with each and every episode, both to signify which actors appear in the coming installment and to display the various locations it will encompass. The aerial fly-over of Westeros (and Essos, before season seven) features the cities and citadels, the castles and keeps, that feature in each hour. The camera dives into and out of a handful of spots on its dramatically compressed map, taking us into the Stark family crypt in Winterfell and the throne room in King’s Landing, as well as through the big hole in the Wall that the Night King’s newly resurrected ice dragon opened up at the end of season seven. And all the while, little tiles in the snow flip over from white to ice-blue, to indicate the advance of the White Walkers. 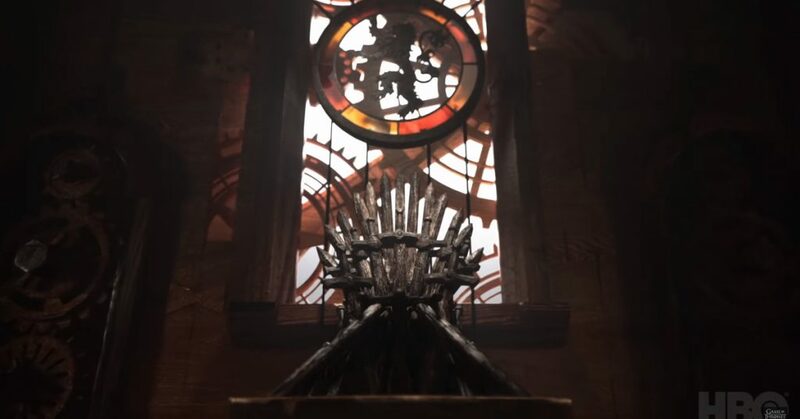 If you look closely, you’ll see they’re already past Last Hearth, which is indicative of a sequence set there late in the season eight premiere, in which it becomes very clear that Last Hearth is no longer so hearth-y. Game of Thrones’ elaborate, clockwork constructions of its world have become one of the show’s most enduring pop culture legacies. The season eight credits both expand upon that legacy and create a new one. It will be fascinating to see how they develop as the season advances toward the series’ ultimate endpoint.